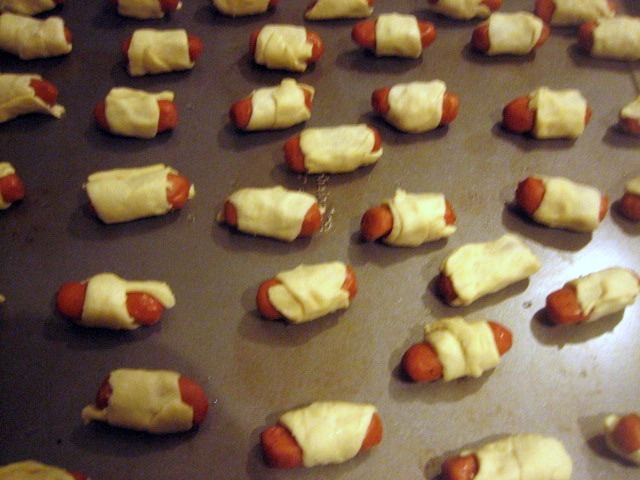 My friend turned me onto pigs in a blanket. She is such a wonderful hostess and always get raving reviews when she makes them for her get togethers. As a result, I started adding these to my easy repertoire. 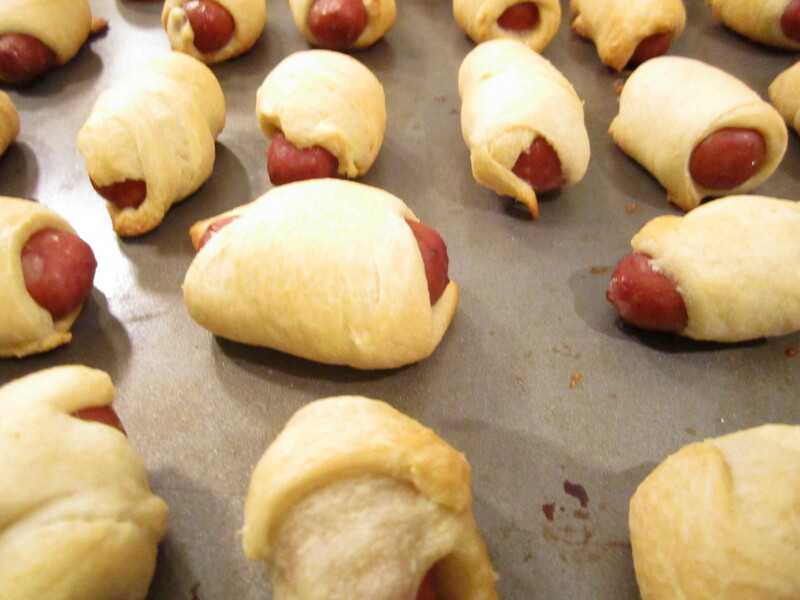 Reduced fat crescent rolls and light turkey hot dogs are a match made in heaven. I made these for the holidays, but also evenings when we want a fast snack. 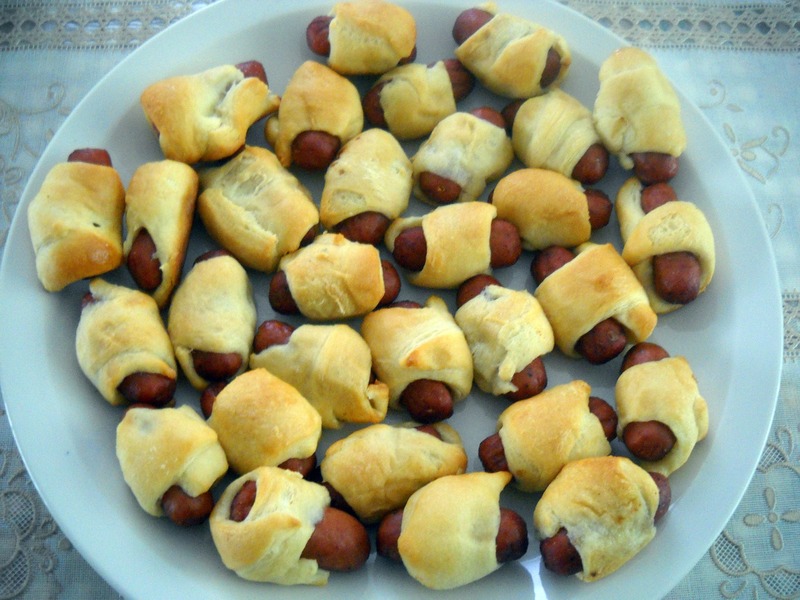 These are also great snacks for a football game. Preheat oven 375 degrees F according to directions on crescent roll reduced fat package. 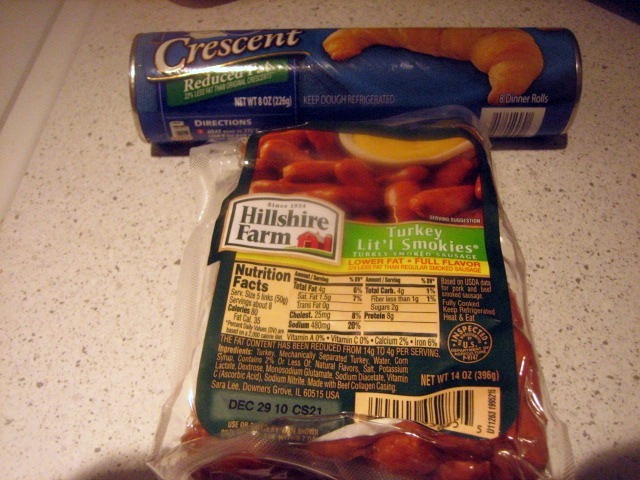 Roll each strip around one turkey sausage and place in baking pan that has been sprayed with non-stick cooking oil.